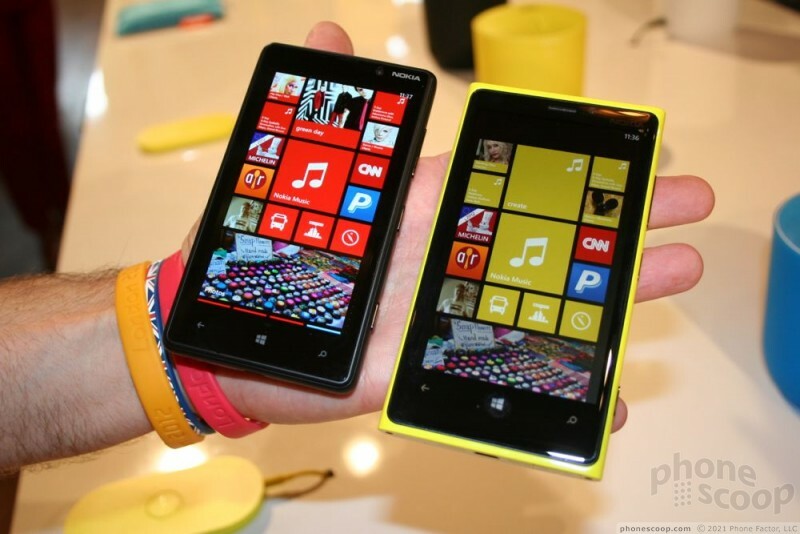 The Lumia 820 is the lesser of the two devices revealed by Nokia today. 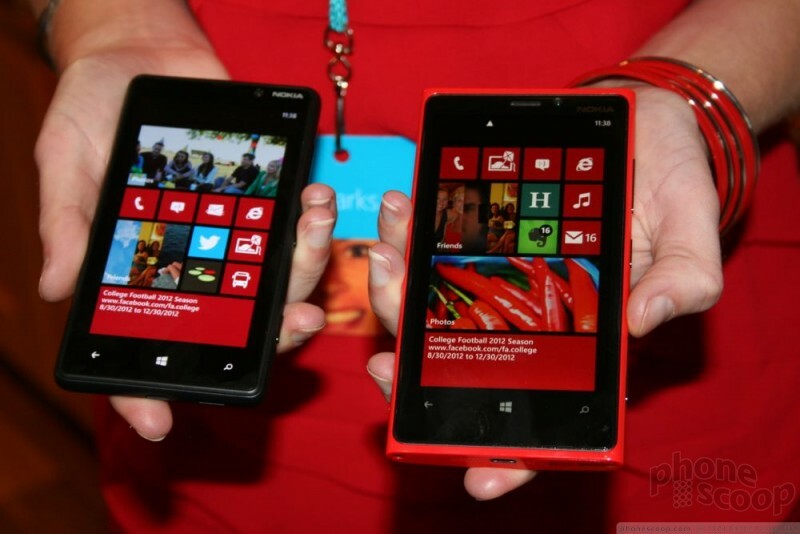 Since it has a 4.3-inch display, it presents a smaller overall footprint. 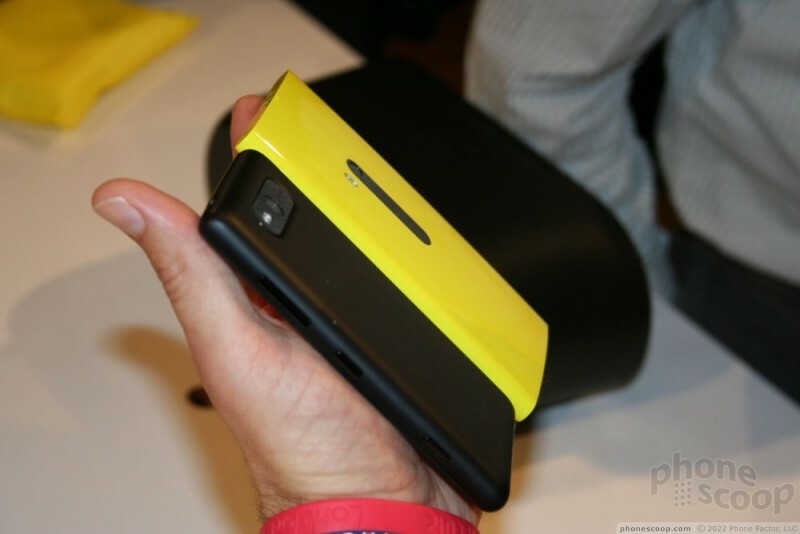 It's clearly a step down from the Lumia 920, not only in specs, but in appearance as well. 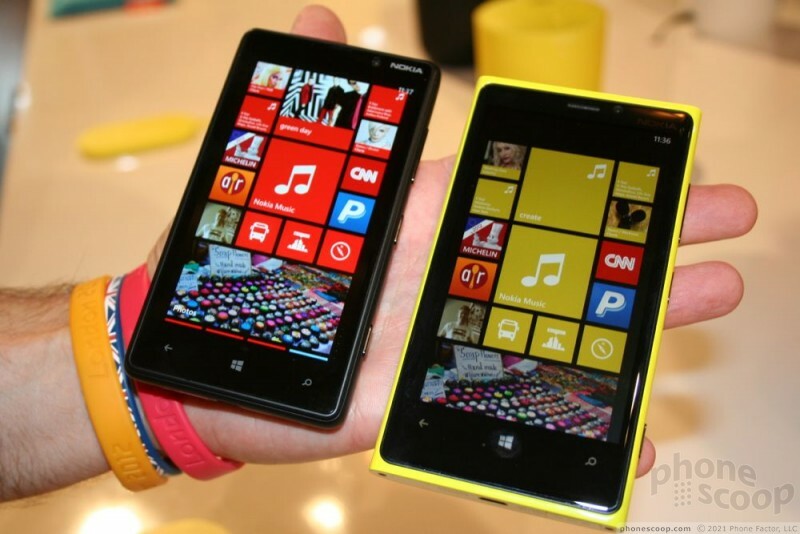 The 820 isn't made of the same, one-piece polycarbonate shell as the 800, 900, or 920. 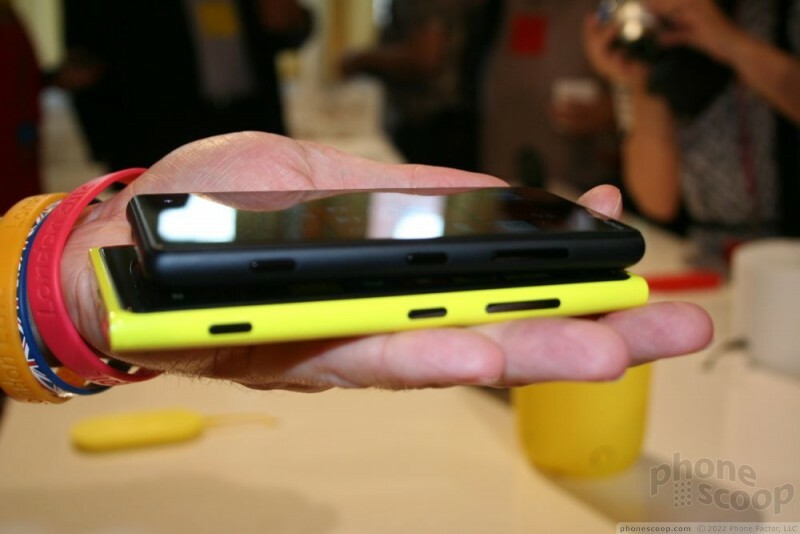 Instead, it is made of separate pieces and had a removable battery cover. This cover can be replaced, which is a feature Nokia talked about today like it never sold replaceable shells on its phones back in 2001. What this boils down to is that the 820 has a seam around the edges, where the others don't. This breaks up the smooth, uninterrupted feel that I like so much about the 800, 900, and 920. It's certainly not bad, just different. It is still somewhat weighty and big, but it stops short of being too big. 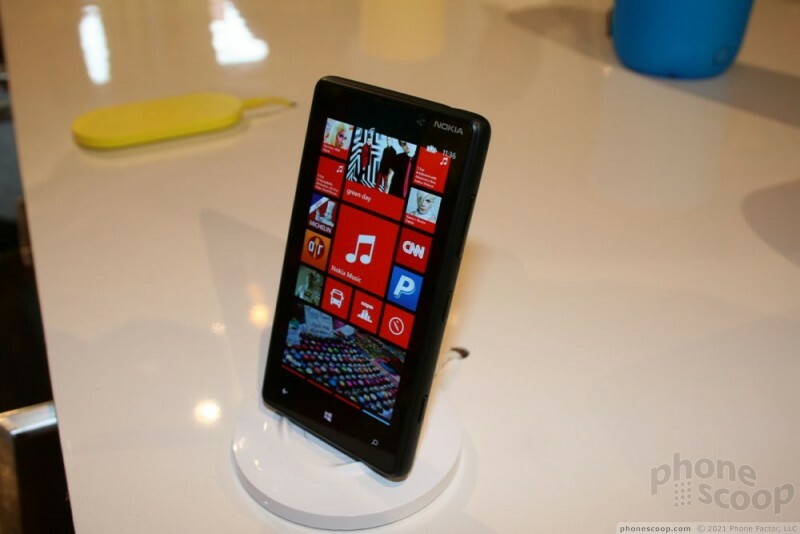 This display is the same as that on the Lumia 900. 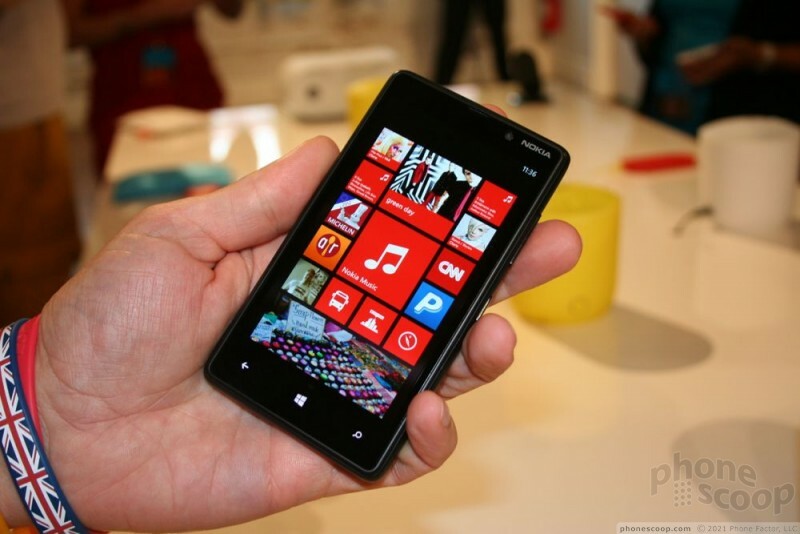 It's 4.3 inches, uses ClearBlack technology, and offers the older 800 x 480 Windows Phone resolution spec. It's not as brilliant nor as sharp as the display on the 920, but it's not a shabby display by any measure. I though it was bright, easy to see, and offered sharp icons, text, and images. 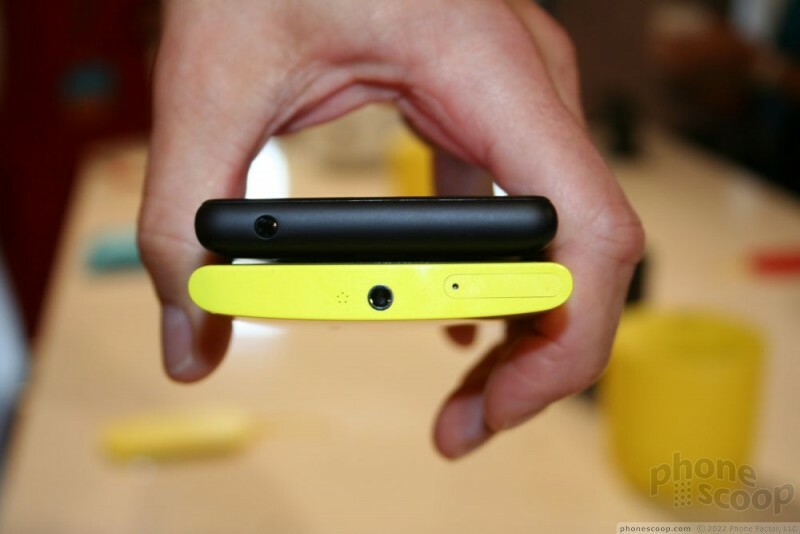 The buttons are placed on the right edge the same as on the 920. 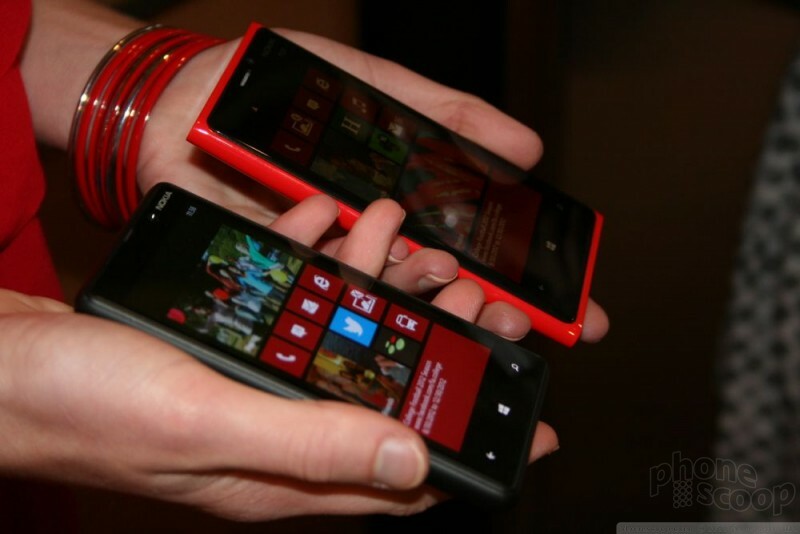 As with the 920, they are easy to use and find, and don't cause any discomfort when holding the device in your palm. 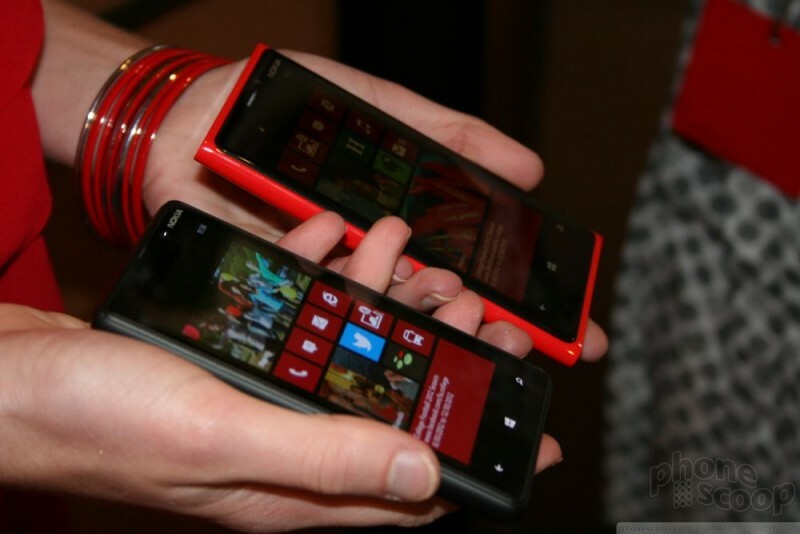 The software features being sampled by Nokia and Microsoft on the 820 were the same ones we saw on the 920. 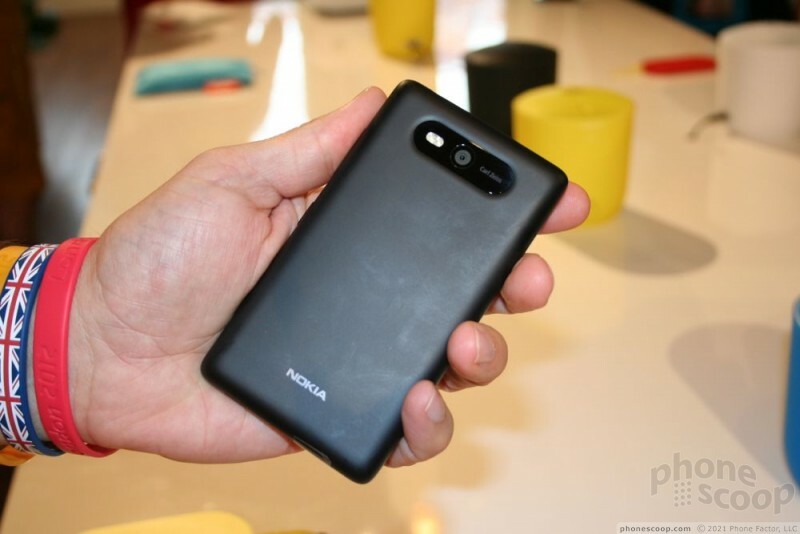 Though wireless inductive charging is hardly new technology, I have to say that I like Nokia's approach. After all, who doesn't want to buy their phone a tiny little pillow that also charges the device? As with the 920, there is a lot we don't know about the 820. Pricing, network support, availability, and more. WIll it sell well? Probably, as a smaller alternative to the 920, I am sure it will be popular with those consumers looking for something other than a ginorm-o-phone.